Yesterday the Northumberland Vikings Facebook Page shared news confirming that Club Chairman Mick Tyler was stepping back from his role with the Vikings, to focus his attention on developing the UK American Football League. The announcement follows Tyler himself first breaking the news publicly via the Vikings TV livestream of the nailbiting NFC Semi-Final between the Vikings and the Sandwell Steelers, and follows the Vikings’ most successful season to date, where they came within a score of booking a place in the Premiership for 2019, narrowly missing out to the Leicester Falcons – another team closely linked with the UKAFL initiative. Tyler has been credited with playing a huge role in the Vikings’ rapid climb up the Britball ranks, professionalising the club by raising standards and working tirelessly behind the scenes to increase support and engagement. “He’s fought the corner of the Vikings every time it’s been needed and made the big, often tough, decisions without hesitation – always with one eye on the development of our club and the best interests of the club at heart. 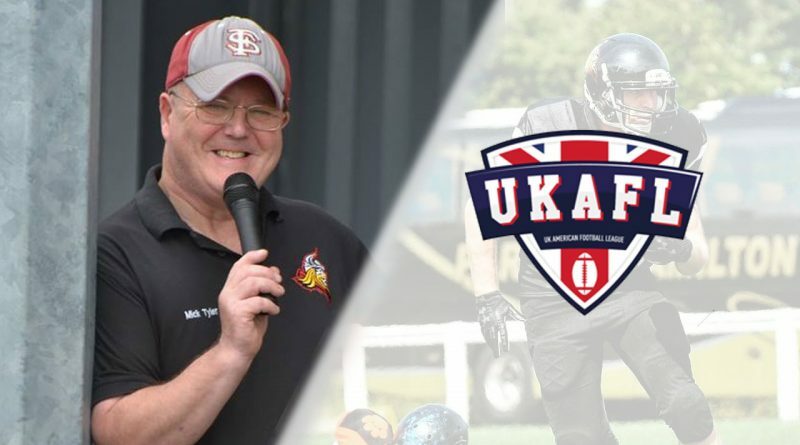 Moving on to focus on the UKAFL, the belief is the organisation will begin liaising with the new BAFA Board, along with the top programmes across the country, with the goal of ‘upgrading the product’ British American Football has to offer the British sporting audience.